Offering you a complete choice of products which include pure p799 mortar for masonry, pure p999 mortar for ceiling and pure p899 mortar for wall plaster. The test result complies with BSEN:998-2, ASTM: C270 for strength Requirement. 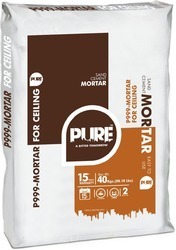 We are offering Pure P999 Mortar for Ceiling. 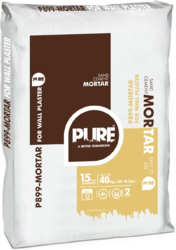 We are offering Pure P899 Mortar for Wall Plaster to our clients.